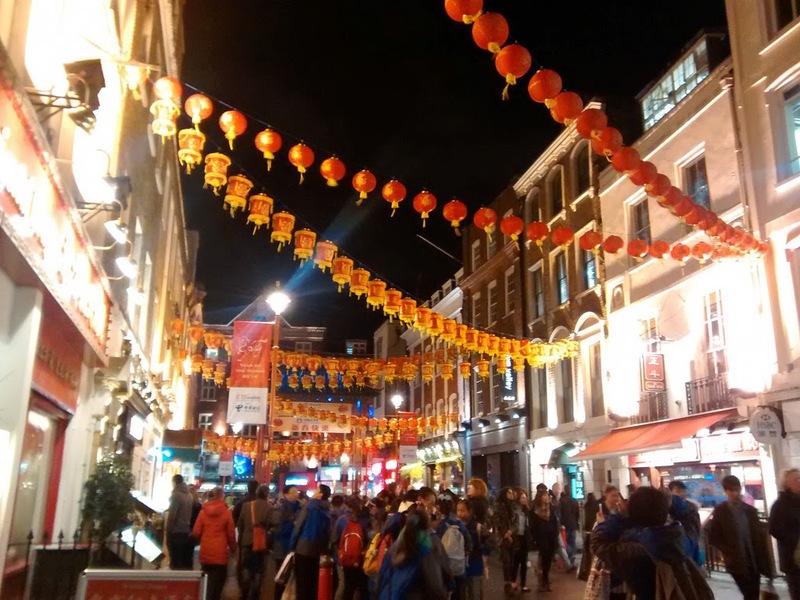 Chinese New Year arrives today, Friday 31st January, and whilst the main celebrations to mark the arrival of the year of the Horse are on Sunday, 2nd February the area around Chinatown - centred on Gerrard Street in Soho - is already festive with Chinese Lanterns hanging above the streets. We are told that the area began its association with the Chinese community in the 1950s, when British soldiers who had returned from the Far East still had an appetite for Chinese cuisine, and some restaurateurs set up business in Gerrard Street among other international restaurants, rather than in the traditional Chinatown area in Limehouse. Today, the street has a marked Chinese feel, with signs, banks, restaurants, supermarkets and souvenir shops. A bust of Emperor Hadrian is found just inside the entrance to the British Museum, originally found at the Villa Adriana, Hadrian’s country residence at Tivoli, near Rome, a huge complex featuring Egyptian, Greek and Roman architecture built in the early part of the 2nd century AD. 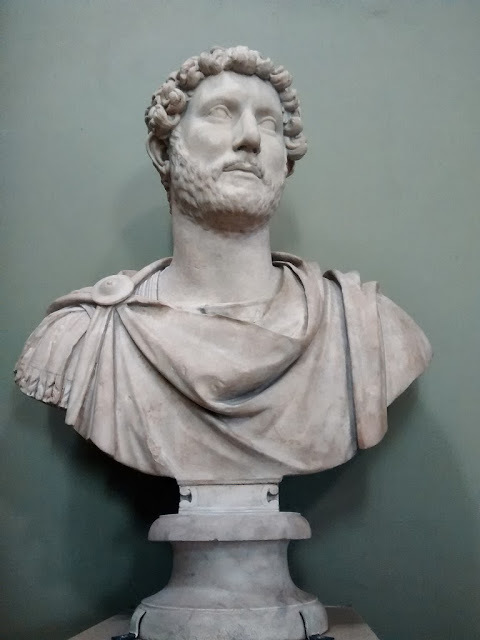 Though Hadrian was from a Spanish family he was born in Rome and served in the military and as Governor of Syria before becoming Emperor in AD 117. He visited Britain in AD 122, and this was when, as a result of recent revolts, he initiated the construction of Hadrian's Wall "to separate Romans from barbarians". He left Britain by the end of the year and did not return. 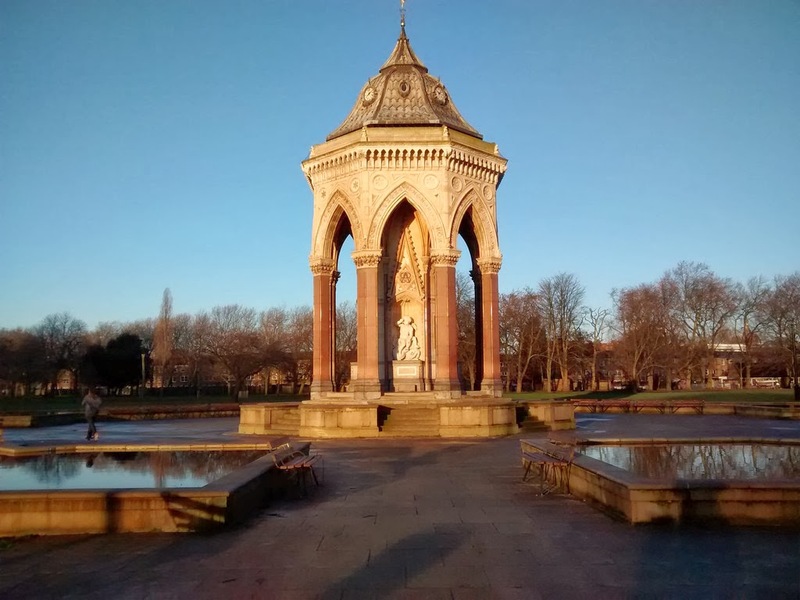 The Victoria Park Memoryscape Trail is a free downloadable trail taking visitors around the highlights of the Park, and using local voices to allow you to guide yourself through the park's history, on a walk that lasts approximately 1½ hours. 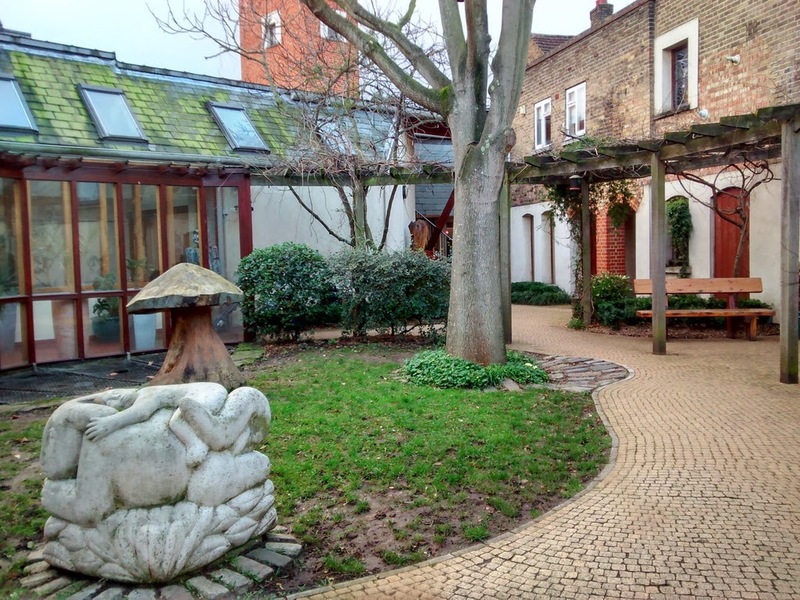 The trail begins at the Pavilion Café, just inside the Crown Gate West gate, and features highlights such as the Dogs of Alcibiades, which guard the Bonner Gate, the former Lido and bathing lakes, the ghost of a church bombed out in the Blitz and the alcoves of London Bridge. Your author has no idea who Kamal Chaker Bulos was, but he was clearly a man with taste. A bench bearing his name stands on the hill near the Royal Observatory in Greenwich Park, and a plaque tells us that "He loved this place and shared it with those he loved". 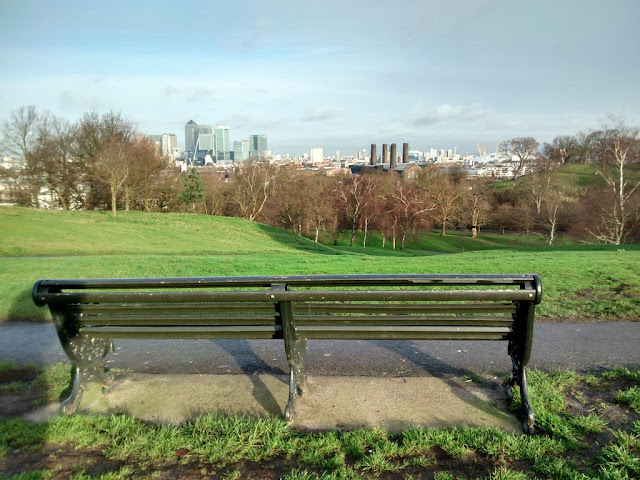 The view from the bench looks South North down the hill with a fine view featuring the Millennium Dome, One Tree Hill, Canary Wharf and the chimneys of Greenwich Power Station. It's a view that deserves more than just a fleeting glimpse and thank goodness for Kamal and his family who have afforded us all a way to enjoy it properly. Bulos was born in August 1930, and died on 11th December 2005. The rest of the inscription reads "Forever remembered. Forever loved.". Truly a fine way for his family to remember him. 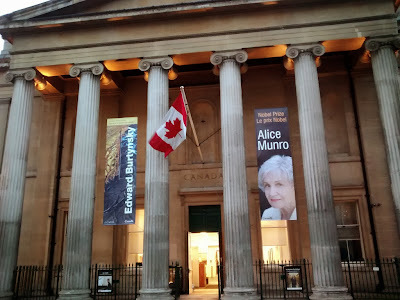 An under-visited central London art gallery is found on Trafalgar Square, where a small room within Canada House, the home of the High Commission of Canada in London, shows exhibitions of art and artefacts, usually promoting Canadian culture.The current exhibition is of the work of Canadian photographer and artist Edward Burtynsky, who is known for his photographs of industrial landscapes. The exhibition features large prints of some of Burtynsky's photographs featuring variously a Chinese chicken factory, an Australian open cast mine and the Markarfljót River in Iceland. It's free and worth a visit. 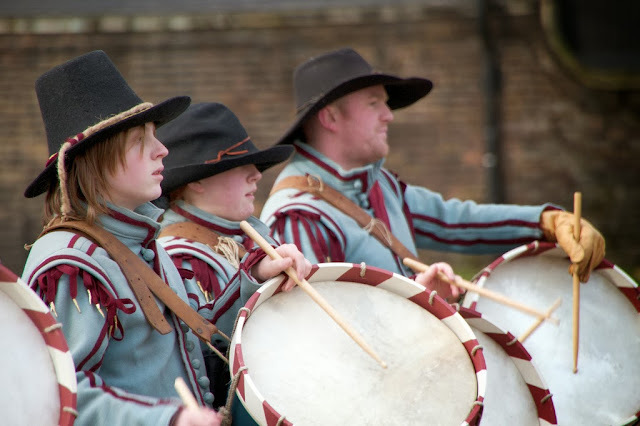 Every year on the last Sunday in January the King's Army parades the route walked by King Charles I on the morning of 30th January 1649, from St James Palace to the Banqueting House in Whitehall, where the scaffold on which he was executed stood. In recent years, we are told, the parade has finished on Horseguards Parade, to avoid closing Whitehall to traffic, but a wreath-laying group still crosses Whitehall to lay a wreath at the site of execution. The parade will begin at St James' Palace at 11am, and proceed to Horseguards, with events continuing until about 1.30pm. 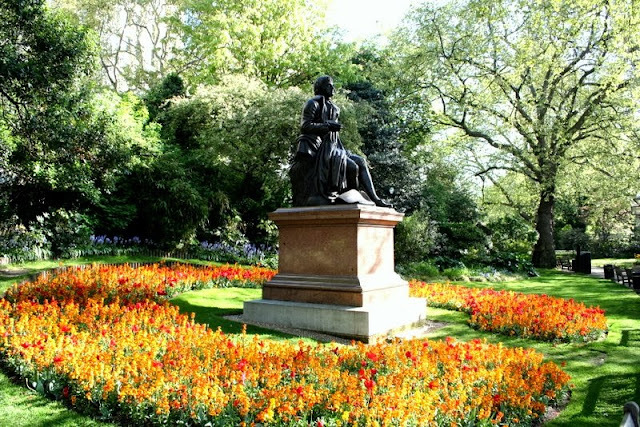 Tonight is Burns night - possibly the last before the Scots vote to become independent - and if you haven't already secured a ticket to one of the array of London Burns Night celebrations, you can find a statue of the man himself in Embankment Gardens. The statue is one of three cast from the same sculpture by Sir John Steell, presented to London by John Gordon Crawford and unveiled by Lord Rosebery in July 1884. The other two statues are in Dundee and New York, and a bust based on the statue can also be found in Poets' Corner, Westminster Abbey. 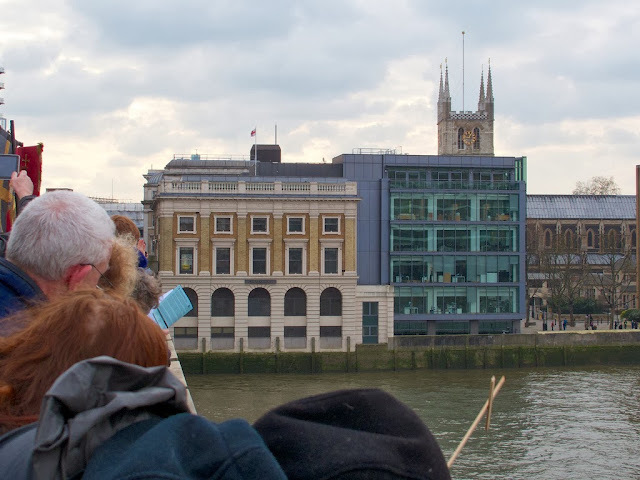 Thanks to Ianvisits for alerting us to an interesting pre-Burns-Night day today at the London Metropolitan Archives, exploring the story of Scottish people living and working in London through the years. Participants are told to expect original documents, family history research and explorations of the various ways Scottish people have contributed to the capital's culture, culminating in a performance and demonstration of Scottish country dancing by the Royal Scottish Country Dancing Society. Entry is £10 and you are requested to bring lunch. 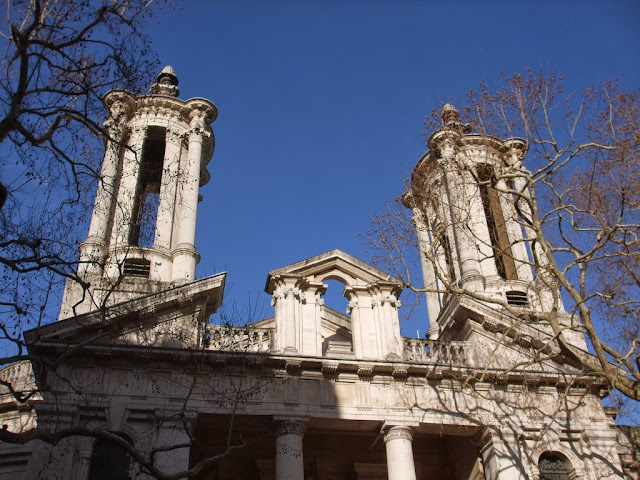 For those who haven't got the time of money for high culture, but aren't afraid to take long lunch hours, the lunchtime concert series at St John's Smith Square could be of interest. Each concert is approximately 55 minutes long, and today's begins at 13.05pm and ends by 2pm. Today's features organist Martin Baker, with a performance including works by Bach, de Grigny and Reger for a fairly reasonable £10. Then tomorrow you can go back to a boring sandwich at your desk. 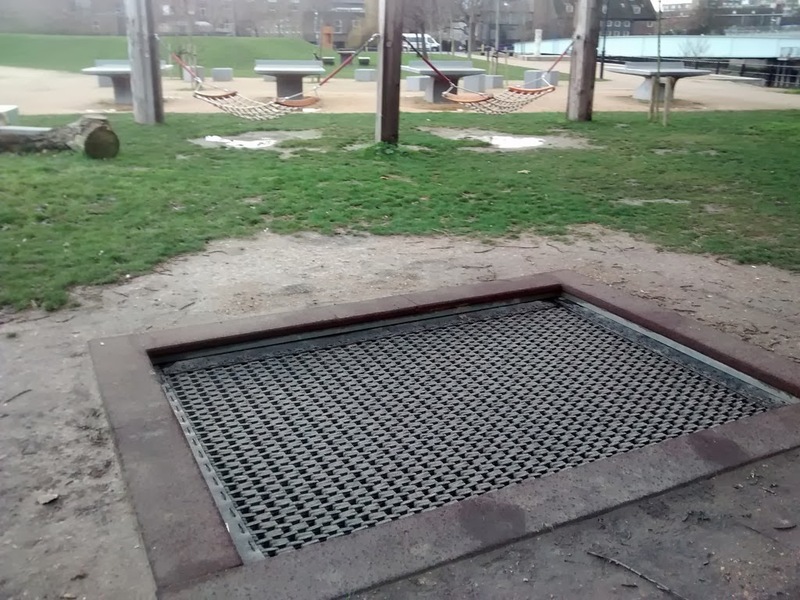 It seems playgrounds have come on a great deal since your author was young enough to use them, and when during an East London ramble on Friday he came across the Wild Kingdom on Three Mills Green in Newham, it was quite amazing. For the Wild Kingdom doesn't just have a swing and a slide, it also has hammocks, trampolines, ping pong tables, nets, ropes and giant tree stumps. The was the result of the 2001 redesign of Three Mills Green by Churchman Landscape Architects and 5th Studio. In tandem with the works, an international design competition was run by the Architecture Foundation to find new proposals for the play area. Wild Kingdom was the work of We Made That and Free Play, and was selected as the winning entry. Run by the Foodcycle charity at Bromley-by-Bow Centre, the Pie in the Sky Cafe is a community cafe that, we are told, promotes healthy eating in the community and supports volunteers to help them gain the skills and confidence. When your author visited last week it seemed to be doing just that, busy with different people and serving a very welcome tea-and-a-biscuit. 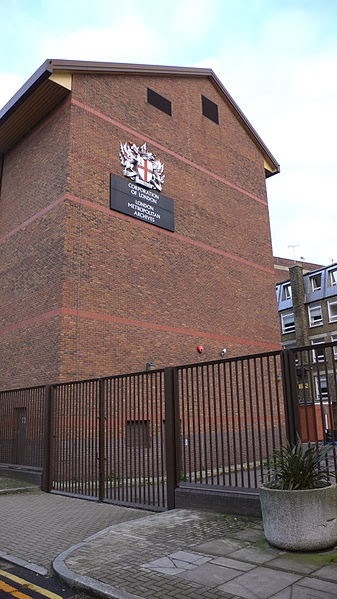 The centre itself UK's first Healthy Living Centre, originally founded in 1984 by Andrew Mawson - now Baron Mawson of Bromley-by-Bow - and now including the cafe, a GPs' surgery, church, nursery, children's centre and other community facilities. Foodcycle was founded in 2009 and already operates in 15 locations, with over 1,000 volunteers, normally using surplus food and spare kitchen spaces. The cafe is open Monday - Friday, 8:30am–3:30pm with lunch served 12-2pm. 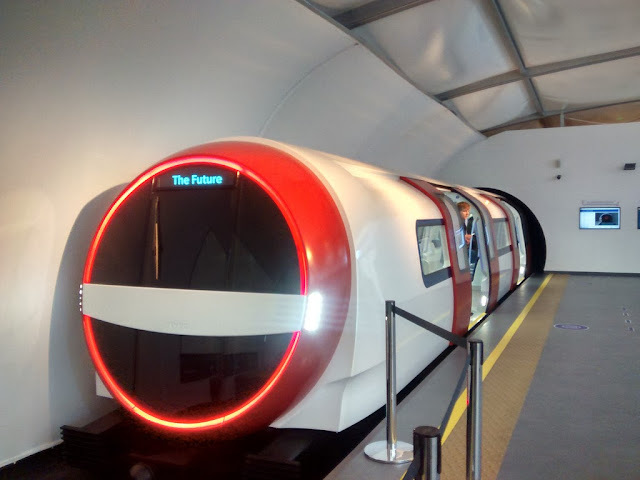 Though it has been open since September, your author is almost always behind the curve and so it was that he stumbled blinking into the "Going underground: Our journey to the future" exhibition at The Crystal in Royal Victoria Dock last Thursday. The results were terribly reassuring, as it seems tube trains will continue to be basically the same. In fact, it seems the only discernible differences will be the giving of awful names to stations and the deleting of the meaning in the names of Tube smart cards. The centrepiece of the exhibition is a mock-up a Tube train designed by Siemens, given the hopefully-tongue-in-cheek name "The Inspiro", which we are told is 30% more energy efficient and 20% lighter than other modern Tube trains, but did seem to be awfully flimsy and squeaky to walk around on the inside. Nevertheless, the exhibition is an interesting anomaly, put together in conjunction with the London Transport Museum, and the exhibition is free. 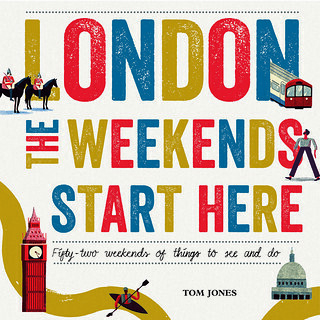 Plus it gives you an excuse to ride the Dangleway. 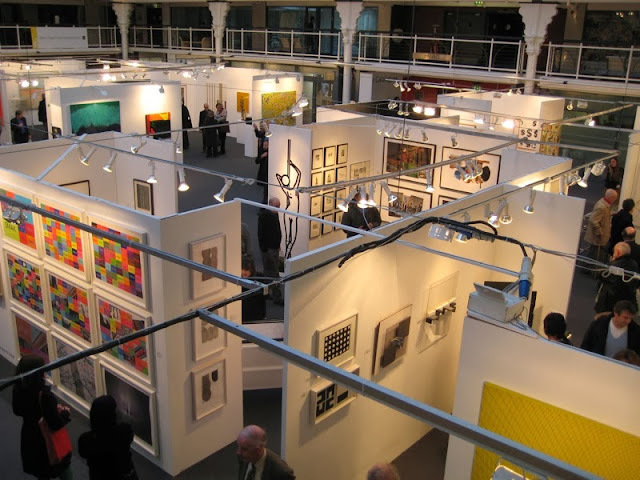 It's the final day of the 26th London Art Fair today, with more than 120 galleries exhibiting art at the Business Design Centre in Islington. Sure, it's just a showcase for artworks that none of us can afford, but the fact that some people can afford them and that artists' works for sale continue to inspire such demand is surely one of the countless positive aspects of our city. Better to buy a work of art that someone has had to think about than another bigger telly. Once you've paid your hefty entrance fee, you can look forward to tours of the fair from the likes of the Sotheby's Institute of Art or critic and curator Pryle Behrman, or just idly browse the works yourself and presumably take amusement from the fact that all efforts to sell them are being made to those dressed better than you. 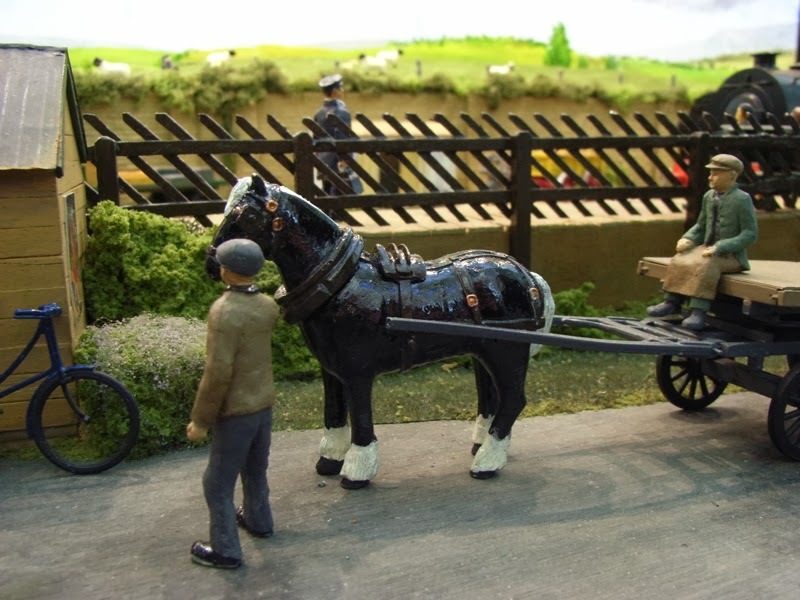 Model-fans will be out in force at Alexandra Palace this weekend for the South of England’s largest model engineering exhibition, which continues until Sunday, 19th January. The exhibition is celebrating its 18th year this year, and promises all sorts of models, from working miniature steam trains and traction engines to model cars, planes and helicopters. A highlight of the event is the fiercely-contested London Model Engineering Exhibition Society Shield, which we are told has gone to the Malden and District Society of Model Engineers for the past two years. Will they make it a hat-trick? 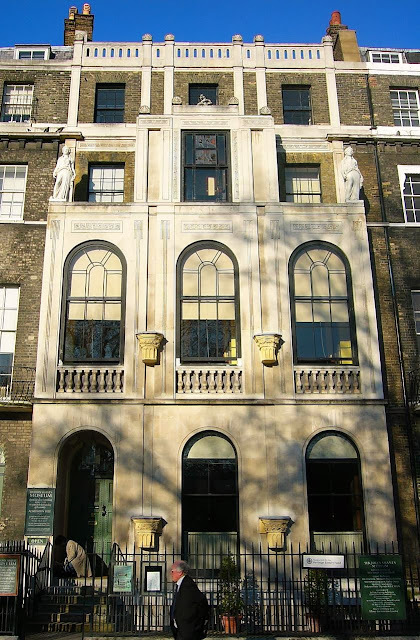 A current added bonus to any visit to the always-excellent Sir John Soane Museum, is the first major survey exhibition of the works of the English artist, writer and archaeological illustrator Alan Sorrell, which runs for another week or so, finishing on 25th January. The exhibition contrasts various aspects of Sorrell's work, from murals commissioned for the 1951 Festival of Britain to reconstructions of ancient archaeological sites including the City of London, Old Sarum and Silchester. If you don't have time to see it at the Soane, the exhibition is scheduled to be travelling later in the year to the Beecroft Art Gallery in Westcliff on Sea, close to Sorrell's childhood home in Southend, when it reopens. The annual celebration of wildlife photography has actually been showing at the Natural History Museum since the end of October, but given that it continues until 23 March it is certainly worthy of a late-but-still-interesting mention here. 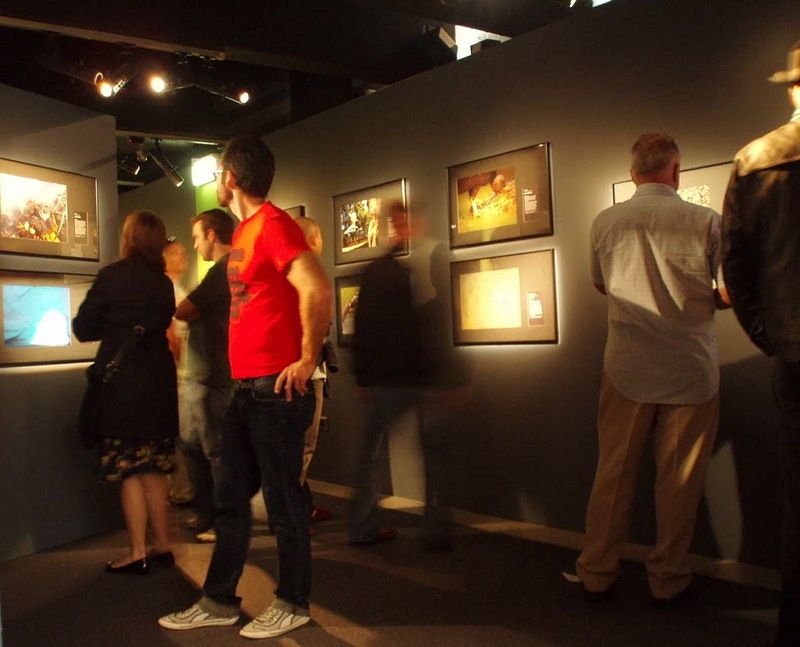 The exhibition The 100 award-winning images from around the world in the Museum's Waterhouse gallery on back-lit installations. Winner Greg du Toit's mysterious image features elephants drinking at a watering hole in Botswana's Northern Tuli Game Reserve. It is some time since your author has had a proper wander in Victoria Park, but yesterday morning as the sun began to shine through the trees the opportunity arose for a walk from East to West, and one particular highlight was the restored Burdett Coutts Fountain. Where until relatively recently the Fountain had been fenced off with plants growing out of it, it was restored as part of a £12.4 million project between January 2011 and July 2012 and yesterday it was looking stunning. The fountain was first erected in 1862, the gift of the philanthropist and heir to the Coutts banking fortune Angela Burdett-Coutts, the 1st Baroness Burdett-Coutts. It was designed by the architect H. A. Darbishire, and built in pink marble, granite and stone, with sculpted cherubs, Gothic arches, a slate roof and four clock-faces costing £6,000. The restoration saw work to the plumbing and stonework, as well as four new mirror pools and a weathervane. Your author spent a pleasant few hours reading at West Greenwich Library yesterday afternoon, and though much of the interior is that of a functional modern library, the fabric of the building itself is much grander. The building dates from 1907, the library was funded by Andrew Carnegie, the Scottish-born American tycoon and philanthropist who paid for thousands of libraries, in the USA, Canada, the UK and Ireland, Australia, New Zealand, the West Indies, and Fiji. Caroline tells us that, whilst working in a cotton mill, Carnegie had made use of the library of a Colonel James Anderson, which was open to working boys on Saturday evenings, and a passion for libraries was born. He went on to make lucrative investments in railways and steel and by his death had given away $350 million in philanthropy. 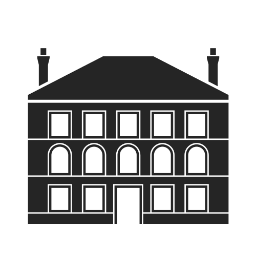 The people of Greenwich still reap the benefits of this philanthropy, in the form of Sir A B Thomas' West Greenwich Library and Sydney R J Smith's East Greenwich Library. Many of the grandest memorials in London seem to remember royals, aristocrats and politicians, so it is nice that there are some that remember ordinary people who worked hard and were an important part of their community. For this reason, your author was very pleased to stumble across a touching memorial to "much loved street sweeper" Dave Squires the wall outside the Waterloo Action Centre in Baylis Road, near Waterloo Station on a walk at the weekend. 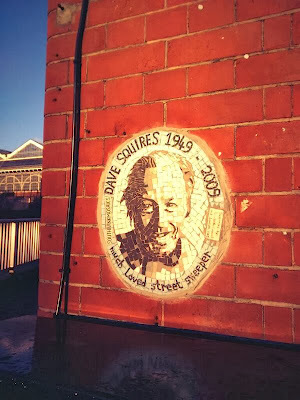 Squires was a well-known face to Waterloo locals until his death in 2009, aged 60, and was photographed by the photographer "Rankin" in 2007 for a photographic exhibition featuring famous people and local residents in support of the Royal Festival Hall's Name a Seat campaign. We are told that the mosaic was put together by Southbank Mosaics who work in the crypt of St John's Waterloo, and specifically by the hands of Sivie Jacobi, Antonio Vieira and David Tootill. In what has now become an annual ceremony, the clergy and congregations of Southwark Cathedral and the Church of St Magnus the Martyr London Bridge, meet on London Bridge at 12.30pm today for a short service to bless the River Thames. The climax of the service sees a wooden cross thrown into the Thames, as a symbol of the baptism of Jesus, which is traditionally celebrated on the Sunday after the Epiphany. 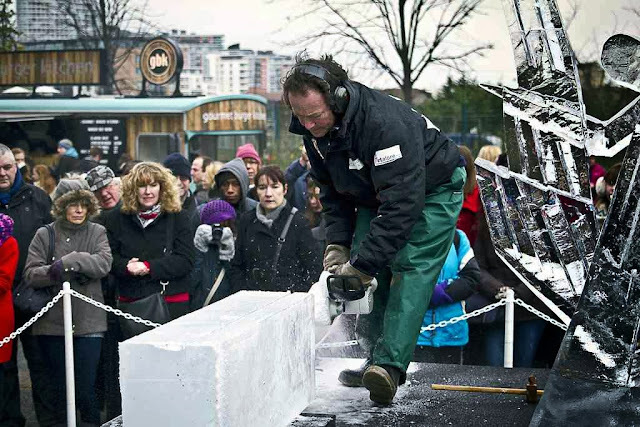 The London Ice Sculpting Festival began yesterday in Canary Wharf, and runs until tomorrow, with three competitions and 20 international ice sculptors. Today's competition is freestyle sculpting, affording the sculptors freedom to choose their own design and create whatever they want, following on from yesterday's single block competition with the theme of River Life. Attendance is free and you can expect to see world-class sculptors working their skills live and in person and perhaps even try your hand at sculpting a Polar Bear, or play judge and vote on the creations of the professionals. 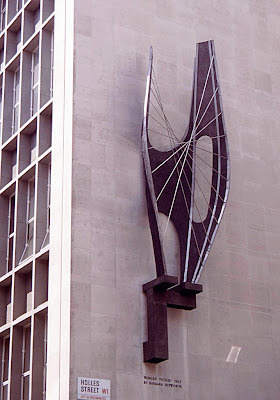 The British Modernist sculptor Barbara Hepworth would have been 111 years old today, and a fine example of her work can be found on the side of John Lewis on the corner of Holles Street and Oxford Street. Winged Figure 1963 was commissioned by the store in 1961, apparently to celebrate common interest and ownership. The sculpture was unveiled to the public in 1963, and has been seen by millions of people each year since then, although many might wander past in a bubble of consumerism that makes them unaware they are in the presence of great art. Fans of urban legends could do no better than look in at the South East London Folklore Society this evening, where the are told to expect a range of tales from Scott Wood, including tells the legend of the walking statue of Brandy Nan, insulting sculptures, sculptors driven to suicide by a mistake and stories of Hitler’s office for when he ruled London. 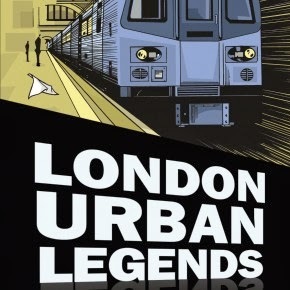 Wood has a strong pedigree, having run South East London Folklore Society for eight years, written the book London Urban F Legends: The Corpse on the Tube, and been author of the Fortean London column for Londonist and co-organiser and host of the London Fortean Society. The evening starts at 8pm at The Old King’s Head, King’s Head Yard, 45-49 Borough High Street, London SE1 1NA and entry is £2.50. Your author spent a pleasant hour or so wandering in the Tate Modern's Poetry and Dream section last Friday, affording an opportunity to reacquaint himself with some great works of art. 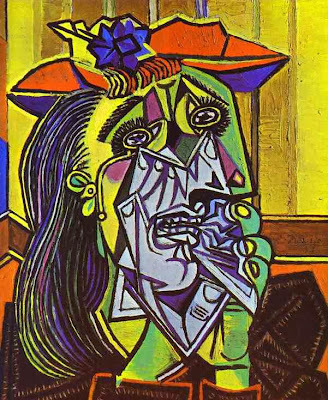 Pablo Picasso's Weeping Woman hangs in the gallery on Level 2, originally painted by the artist in 1937 and acquired by the Tate in 1987. 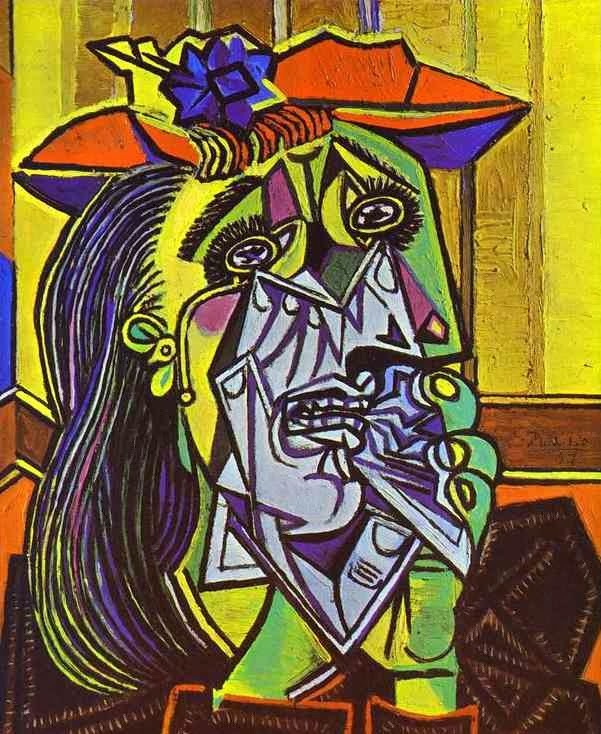 Though the woman's features are supposedly based on Picasso’s lover Dora Maar, we are told that the painting is a continuation of one emotive element in Picasso's epic Guernica, where a weeping woman holds her dead child. The Tate's version is the last in a series of such paintings. Your author is hopefully off to the Sir John Soane Museum on Lincoln’s Inn Fields this evening, for one of their monthly first-Tuesday-of-the-month candlelight openings. As a result, you are encouraged to put it off until next month as it's often difficult to secure tickets and if you do attend this might hinder the chances of his securing a ticket. 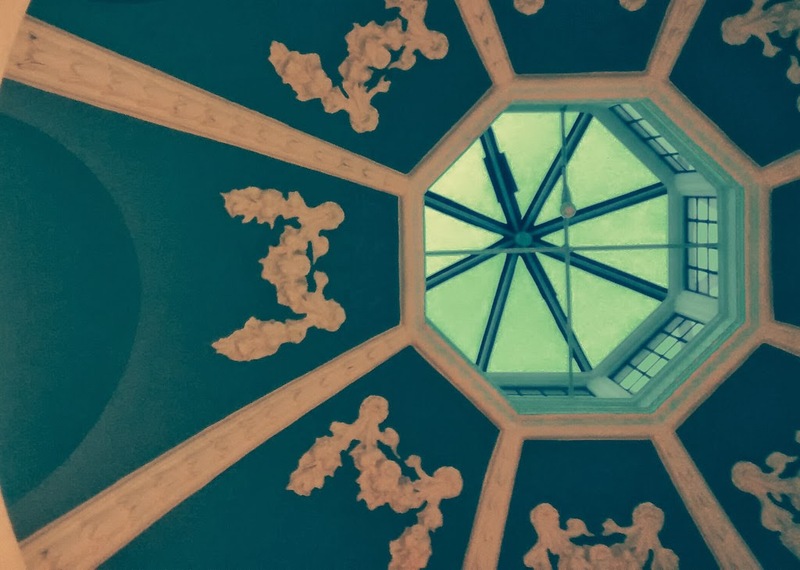 The museum is impressive enough in daylight, but during the evening opens it really comes into its own, packed with architectural details, art and artefacts seen in just the way it would have been when Sir John himself held evening openings for guests to view his extensive collections. When Ada Salter became a councillor in November 1909, she was London's first female councillor, and it was an important step in a life that took her from the small town of Raunds in Northamptonshire via the the Bermondsey Settlement and the pacifist movement to become one of London's first female mayors in 1922. 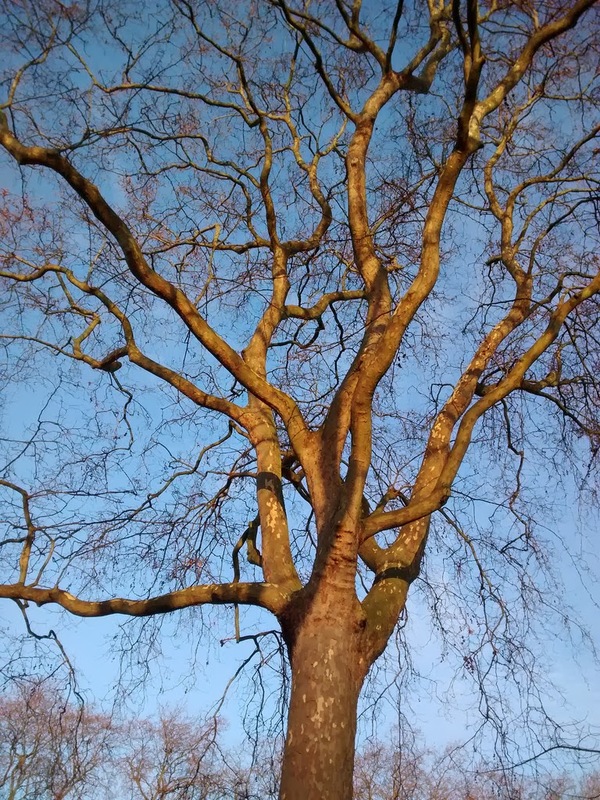 Following her death in 1942, the decision was made to rename the English Garden in Southwark Park, which Salter had championed, after her and an ailanthus altissima, or tree of heaven, was planted in her memory. 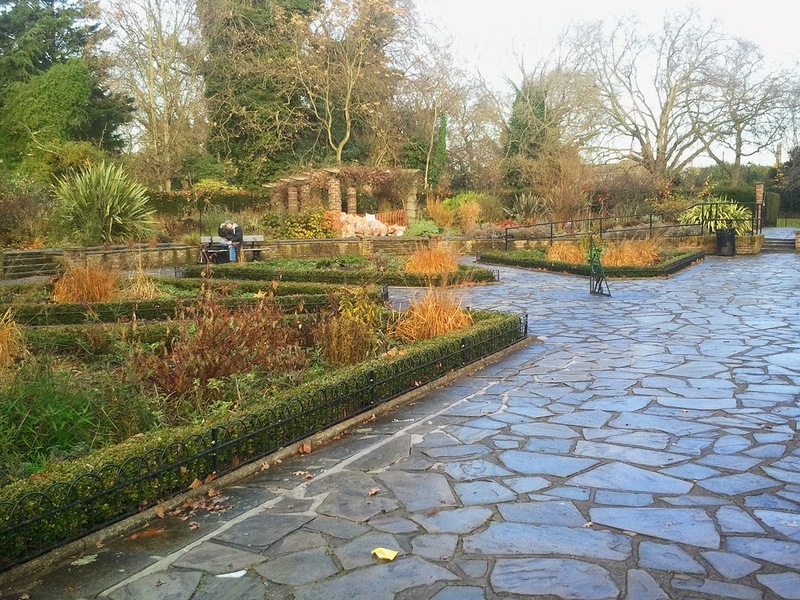 For more, see http://en.wikipedia.org/wiki/Ada_Salter or download the Southwark Park Trail. Today is Twelfth Night and the end of the Christmas season is upon us, and at the Geffrye Museum in Hackney today they're saying Farewell to Christmas with a traditional burning of the holly and the ivy from 3.30pm this afternoon. 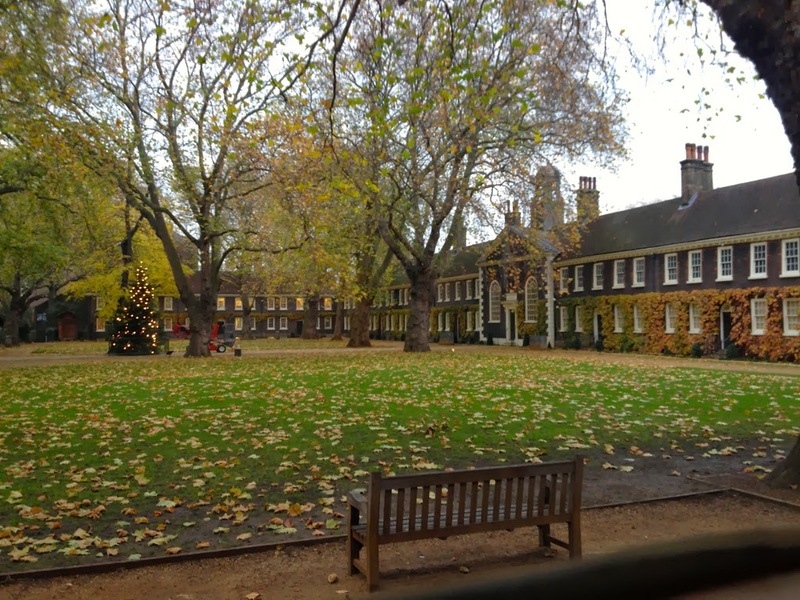 We are told that the traditional event, taking place in the museum garden, will also feature carol singing, stories about Epiphany, what could be your last mulled wine of the season and Twelfth Night cake. An afternoon of art and design taster sessions is taking place up in Blackheath today at the Conservatoire, showcasing some of the new courses being offered City Lit Courses this afternoon until 5pm. The day offers a chance to try some printing, drawing and watercolour and to find out more about the other courses being offered in this part of South East London. 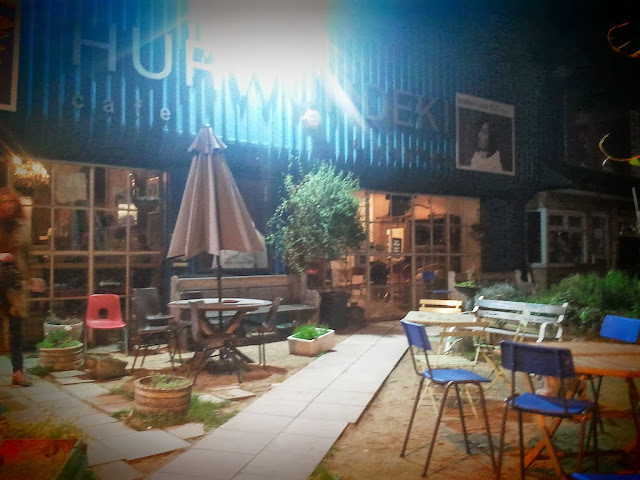 A pleasantly bizarre combination of Korean eatery and hair salon, the Hurwundeki Cafe is found under the railway arches beside Cambridge Heath Station on the borders between Bethnal Green and Hackney. The food was good, and distinctively Korean enough to be interesting whilst the interior maintains a charming eccentricity. Your author will certainly never become a restaurant critic because he remains unable to recall the names of any of the dishes he ate, but they were good, and so was the wine which was BYO from a wine shop south of the river. 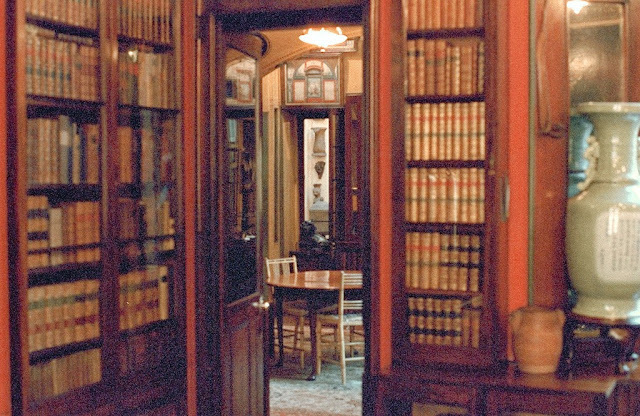 However, the people on the next table were friendly and so were the staff, and there was an interesting and unexplained rack of old coats in one corner, so it is clearly a nice place. 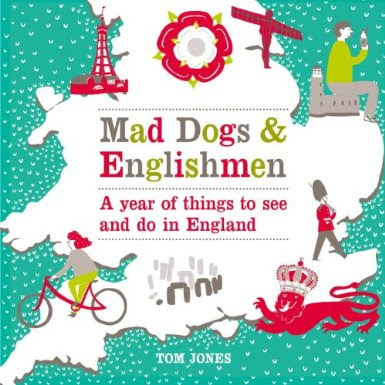 For New Year's Day yesterday your author subjected his friends to a truly awful trudge from London Bridge through Rotherhithe and on towards Greenland Dock, based loosely around the Thames Path. Despite the wind and rain, at one point more than ten people were present to walk to lunch at the Mayflower, but by the time the walk reached The Dog and Bell in Deptford, the group numbered just two people. Those two, however were well rewarded, with this multi-award-winning pub boasting a gentle atmosphere and a warming coal fire. The pub is exactly the type there should be more of, with a hand-written notice on the door noting that the premises are "not suitable for children", no card payments taken, plenty of ale, a bar billiards table, lots of real wood and plenty of locally-relevant art and artefacts inside to give it a real sense of place. 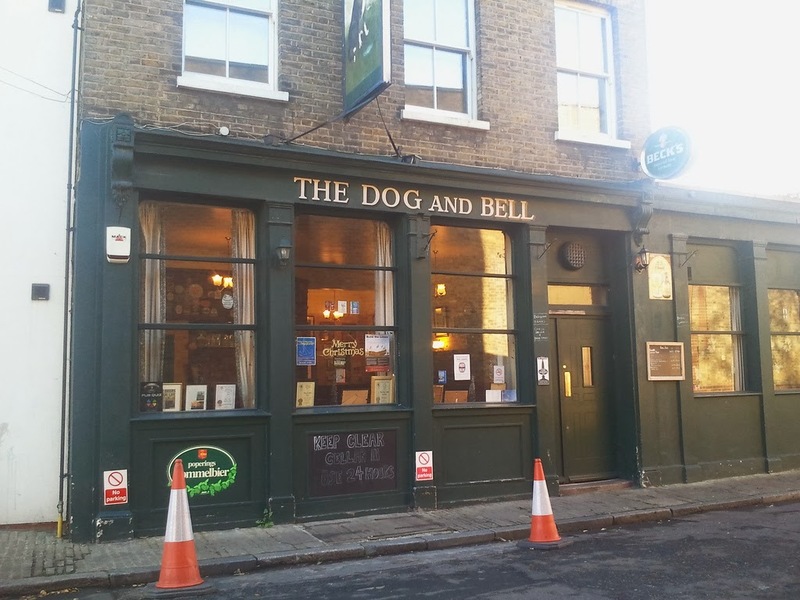 If more pubs were like like this London, and the World, would be a better place. 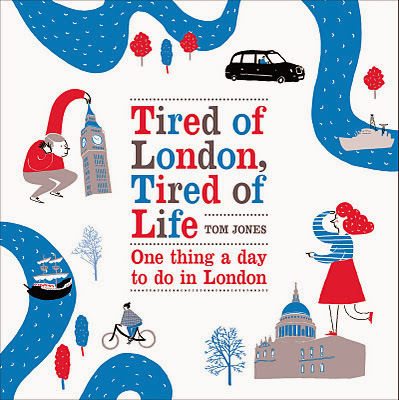 Your author tries not to be too self-centred on this website, trying instead to offer simple advice on things to see and do in London (and occasionally in other places). However, a New Year seems to afford a particularly good opportunity to mention that this website was driven by a New Year's Resolution, starting to publish every day on 3rd January 2009. The results are a strong testament to the power of making New Year's Resolutions and sticking to them. This year's Resolutions were frantically scribbled down on a piece of paper yesterday afternoon, and they won't necessarily be stuck to, but they are certainly good to make. Alongside visits to Mountain Bothies and more writing, one of them suggests that this website eventually allows itself enough flexibility to drop its every single day posting and focus instead on quality. But there's a whole year ahead, and for the time being daily posts will continue. For now, enjoy the 2014. It's going to be a good one.